The perfect jerk rod for multi- bait caster reels. Every detail of this rod, from the blank with HT Cross Winding-Tech-nology to the Fuji Low-Rider guides and Fuji reel seat, is conceived for jerk bait angling. A continuous stiff action ensures targeted controlled jerking of the bait. Rod Weight 164g. Optimal Casting Weight 90-130g. 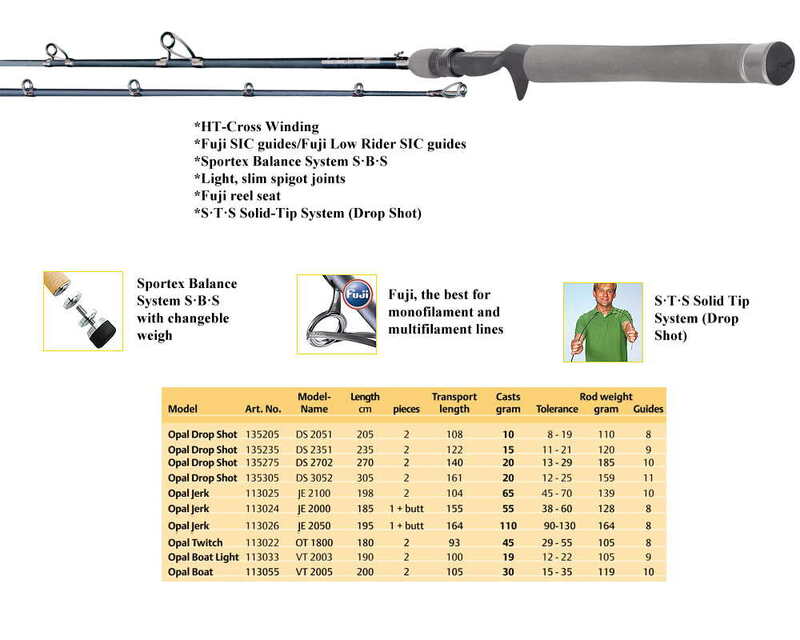 Rod Weight 139g. Optimal Casting Weight 45-70g.